As Commercial Locksmiths NSW SYDNEY we focus on Blacktown and surrounding suburbs. We cover all of Western Sydney as the Commercial Expert Locksmiths. The main difference with our Commercial Locksmith service is all our products are Heavy Duty and we Guarantee all the work we do and it is backed with warranty and give our work a 100% stamp on every job.. Our Locks are Commercial grade built and designed for Commercial applications. We provide FREE QUOTES for Commercial Work on doors, Locks, Windows, Keys, Digital systems, Access Systems, Intercoms, anything commercial we gave give you a Commercial Locksmith Price to compare. At Target Locksmiths we can proide advice on an access control system to suit your business, installation and after install support. Commercial CCTV is not longer just for often targeted business types such as Petrol stations and convenience stores - the massive reductions in price in recent times means more and more businesses are finding a cost benefit in their installation. Thieves generally look for a soft target. CCTV tells them no only are you willing to monitor your premises, perhaps you have extra security in palce such as monitoring or alarm systems. 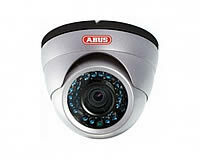 A CCTV system is both a monitoring tool, and a deterrert. More and more we are installing such systems for small business owners who are not always able to be on the premises. An inhouse CCTV system is a great way to see if staff are working diligently, or reading magazines whilst you are away from their view.The increase in productivity and CCTV system can bring from staff, will pay for itsefl in no time! We can set up you cctv system to send alerts to your mobile phone, to your security company etc, You can monitor it from your computer, Ipad / Iphone or smartphone and keep onsite and remote backups. Looking for a solution similar in effect to an Access Control System but wanting to keep it simple? Consider a Master key System. It works like this. a. You decide who is going to be allowed where in your business. b. We install locks, which can be opened by several differernt keys. the Mastekeys given to top level management will open all locks, whereas keys given to more junior staff will only allow them to access certain areas on a need to access basis. 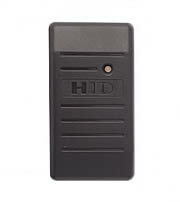 Its a great way of securing your premises simply, whilst providing multple levels of access. Master Keys can not recut with authorisation from the Master Key Owner so you need not worry about staff making extra copies which they use in the future.